The Cambridge University Sinfonia, conducted by Toby Hession, the CUMS Conducting Scholar 2018, is joined by pianist Yuanfan Yang to present a concert of “firsts”. The orchestra will accompany Yang in Brahms’ first piano concerto and then perform Shostakovich’s first symphony. 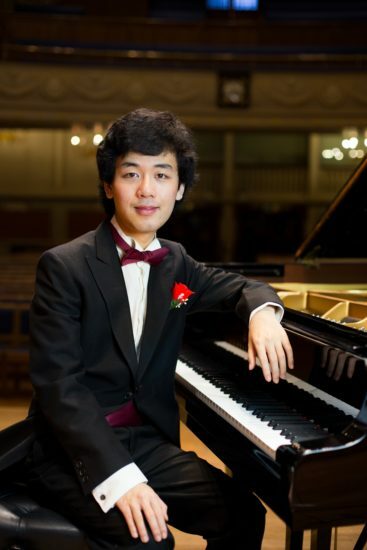 Yuanfan Yang has won numerous awards, including 1st Prize at the Cleveland International Young Artists Piano Competition and 1st Prize at the 4th International Franz Liszt Piano Competition, and his playing was described by International Piano Magazine as “brilliantly executed, beautifully organised, breathless in its excitement and deeply affecting in its sentiments”. Although we think of Shostakovich of the more shocking composer of the pair, with his combination of deep-reaching satire and beautifully evoked tragedy, Brahms’ concerto was perhaps more shockingly received – with disappointed hisses from the audience! Now, however, we recognize the masterful combination of concerto with symphonic structure and Brahms’ distinctive combination of confident, soaring imagination and Beethovenian impressions. The concert concludes with Shostakovich’s Symphony No.1, written for his graduation from the Petrograd Conservatory but already characteristic of Shostakovich’s sophisticated style, featuring beautiful melodies, sarcastic waltzes, and rousing fanfares.